Hot Work Training - F.A.S.T. Rescue Inc.
F.A.S.T. 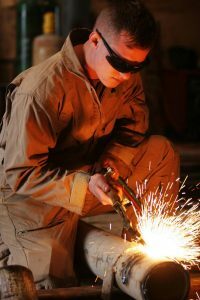 Rescue’s Hot Work Training Program focuses on identifying hot work and associated processes, and creating a safe work environment by following safe work policies, processes and a permit system. Each worker will be trained to identify potential hazards associated with hot work. Course Content: Understand and identify hazards, policies and procedures, setting up a permit system, safeguarding areas, atmospheric testing.